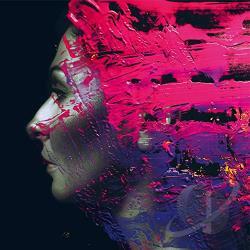 Steven Wilson's "Hand. Cannot. Erase." musically inspired by Rush? "I'd go for The Camera Eye from Moving Pictures. For me, this is Rush continuing in the tradition of their incredible 70s epics, but achieving something more structured and lyrically mature. As with the whole of the Moving Pictures album, it strikes a perfect balance between the power trio format of the 70s and the more layered keyboard-dominated sounds to come. It's also got one of the great Alex Lifeson guitar solos - among so many!" Hand. Cannot. Erase. is set for release March 3rd, click here to order. For more visit www.handcannoterase.com; see below for a video teaser. - Thanks Mr. Humphries for the headsup! 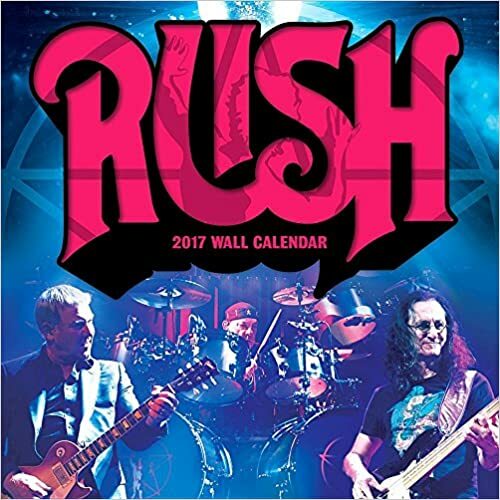 Today Rush have finally announced their tourdates for 2015, with tickets going on sale starting January 30th, and presales starting January 27th. The R40 LIVE Tour will visit 34 cities throughout North America this summer beginning May 8 in Tulsa, OK and finishing August 1 in Los Angeles, CA. 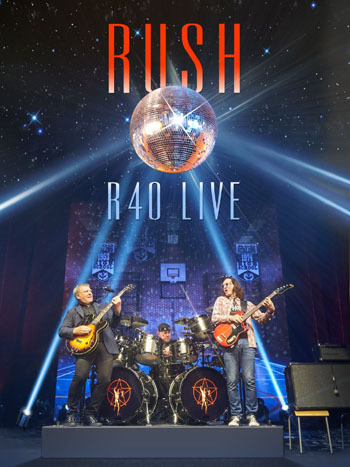 These not to be missed concerts will highlight four decades of the band’s music....After 40 years together and 20 gold and platinum studio albums – Rush is ready to celebrate with the most loyal fans in the world by embarking on their 21st tour, one which will most likely be their last major tour of this magnitude. UPDATE: PBS does not have a standardized nationwide schedule. While this episode is slated to begin airing tonight, actual broadcast times and dates will vary. To find list of stations that will be airing it click here. Recorded last fall, Geddy Lee's appearance on PBS' Speakeasy will air tomorrow night, January 29th. 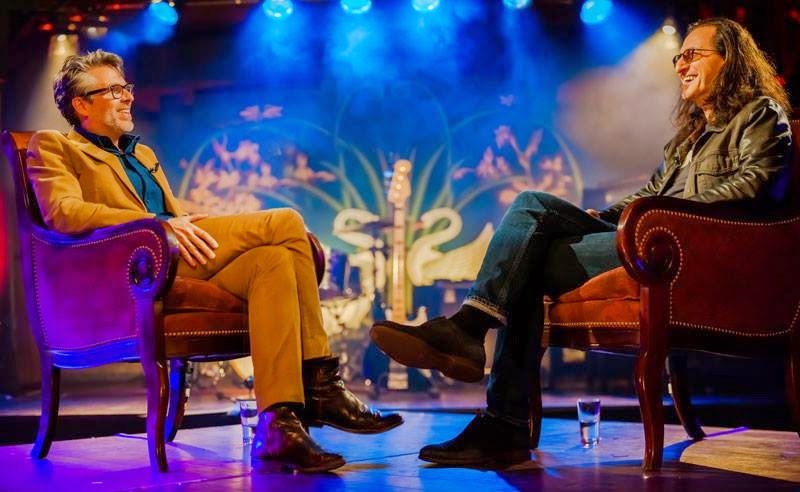 Geddy is interviewed by his friend, author Michael Chabon at the McKittrick Hotel in New York City. Topics include growing up Jewish in an assimilated world; his bandmates; and how he's cared for his voice through the years. See below for a teaser clip from tomorrow night's episode. Toronto, ON (January 29, 2015) — The Canadian Academy of Recording Arts and Sciences (CARAS) today announced Ray Danniels as the recipient of the 2015 Walt Grealis Special Achievement Award, that recognizes individuals who have made an impact on the Canadian music industry. Danniels will be honoured at the 2015 JUNO Gala Dinner & Awards on Saturday, March 14 in Hamilton, Ontario as part of JUNO Week festivities. Ray Danniels is the CEO/President of SRO (Standing Room Only) Management Inc. and of independent record label Anthem Entertainment Group. He is also the long-time manager of Canadian trio and Rock and Roll Hall of Fame members, Rush. Danniels began his career as an agent in the music business when he was a teenager, first booking bands and then moving on to promoting concerts in his hometown of Toronto. In 1971 he took on both agent and manager roles with a rock band from Willowdale called Rush. After every record company in Canada turned the band down, Danniels took initiative by funding Rush’s first record and then starting his own label to release it. In 1973 the first Rush single was released on Moon Records, which was later renamed Anthem. 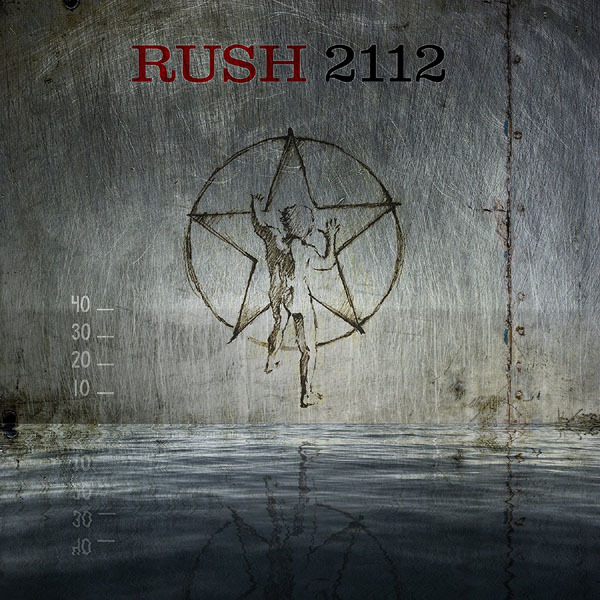 Forty years later, Anthem is still releasing Rush albums in Canada. 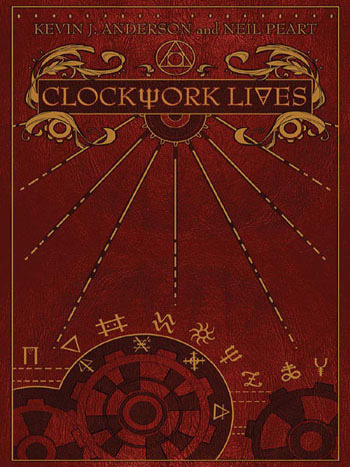 Rush’s 20th studio album, Clockwork Angels, was released by Anthem in 2013, debuted #1 in Canada and went on to be certified gold. 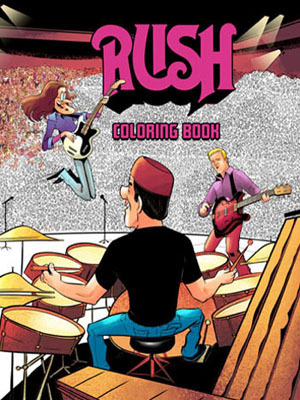 Together, Ray Danniels and Rush created Core Music, a publishing entity where the band’s entire body of work remains to this day. In addition to Rush, Anthem has released albums from Max Webster, Ian Thomas, Gowan, Molly Johnson, Steven Page and most recently The Tea Party, Big Wreck and Brody Dalle. Anthem has made an impact with projects that have defined Canadian culture, having released projects such as Bob & Doug Mackenzie and The Trailer Park Boys soundtracks. In its 40-year history, SRO Management has been instrumental in the careers of Rush, Van Halen, Extreme, The Tea Party, Matthew Good, and Big Wreck amongst others. Danniels was inducted into the Canadian Music Industry Hall of Fame in 2007 and was also the recipient of the third annual Music Managers Forum Canada Honour Roll Award. Neil Peart's R40 drum kit premiered at NAMM 2015 earlier this week at the DW booth. 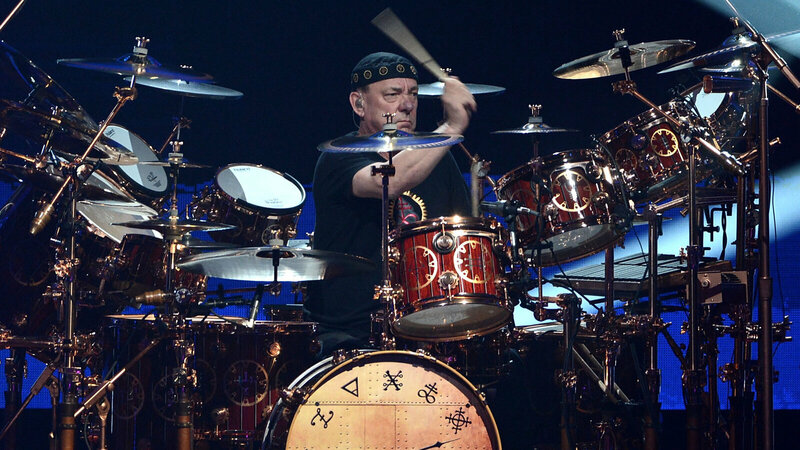 Yesterday afternoon, DW posted a short interview with Neil Peart where he discusses the kit. He sheds some interesting details, including the fact that the entire kit is made from a single 1,500 year old oak log from Romania. DW has also announced that the Neil Peart R40 14 x 6.5 snare drum will be available for private purchase. This is a limited production run of only 250 drums. All Pro Percussion has the snare available for $1,499.55 with an estimated delivery date of April 2015. Today sees the reissue of Fly By Night on vinyl, with a code for a 320kbps MP4 vinyl ripped Digital Audio album download. In addition, Fly By Night is also now available as a "blu-ray-audio remaster", previously only available in the Sectors 1 boxed set. 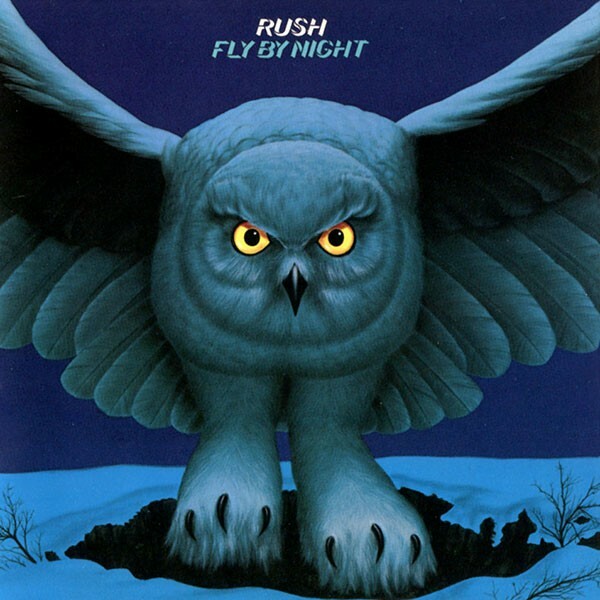 Click here to buy Fly By Night on vinyl, or blu-ray audio. 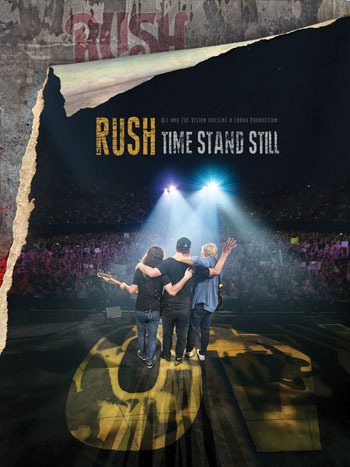 As announced last month, following last year's Rush reDISCovered release, Rush is reissuing the rest of Rush's remaining Mercury era albums (studio and live albums through A Show of Hands) in chronological order throughout the rest of 2015. 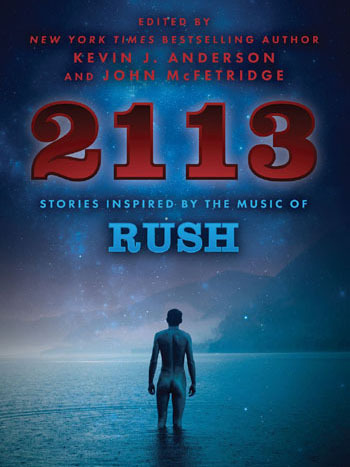 North American syndicated Rock radio show and InTheStudio: The Stories Behind History’s Greatest Rock Bands journeys back to a pivotal moment in the history of the band Rush to examine the 1980 release of Permanent Waves. Four years before the dawn of MTV and almost two decades before the internet revolutionized the music industry, Rush sold more than a million copies of 1978’s Hemispheres album and sold out 10,000 seat arenas primarily on word-of-mouth and relentless touring. The hard rock trio faced obstacles at every turn and at every phase of their career, but the adversity only seemed to increase the collective resolve of Rush. 1980 would be a turning point and game changer. 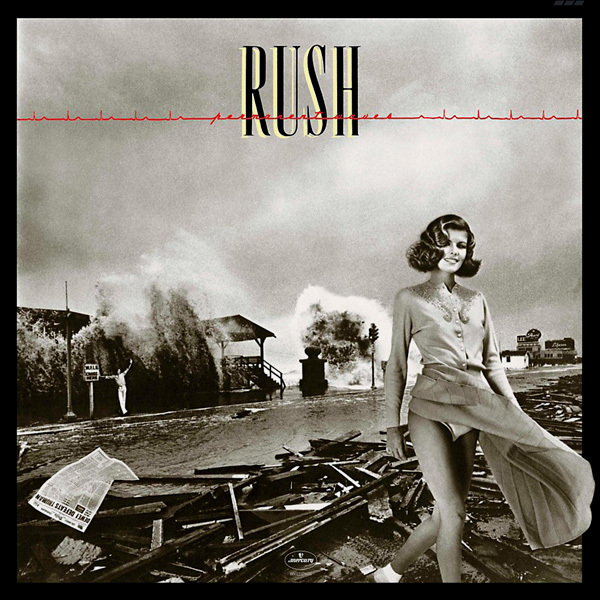 Rush, who had been mean spiritedly criticized by the rock press and ignored by the majority of radio in the western hemisphere would deliver Permanent Waves, the breakthrough that would unleash a streamlined, more modern-sounding Rush and deliver their first legitimate hits “The Spirit of the Radio” and “Free Will”. Geddy Lee shares with InTheStudio host Redbeard the deliberate move Rush made musically 35 years ago. RUSH Permanent Waves @ 35/ InTheStudio interview is available now to stream here. For a list of radio stations who broadcast InTheStudio, click here. Alex Lifeson of Rush stopped by Q107 this morning to chat with Derringer about all things rock n’ roll, including the upcoming R40 LIVE tour kicking off this May. Q107,Toronto’s Rock presents RUSH - Wednesday June 17th & Friday June 19th at the Air Canada Centre. Tickets go on sale Friday, February 6th. Buy your tickets online at Ticketmaster.ca ! At NAMM 2015 this week, DW announced that the Neil Peart R40 14 x 6.5 snare drum will be available for purchase. All Pro Percussion has the snare available for $1,499.55 with an estimated delivery date of April 2015. - Thanks to Andrew Olson for the headsup! Kiss Roadies’ Memories of the Band’s Early Shows With Rush included in new book "Out On The Streets"
The four guys who made up the original ‘Kiss Krew’ — roadies Peter “Moose” Oreckinto, J.R. Smalling, Rick Munroe, and Mick Campise — share their stories about working for the band during its rise to fame in their new book, ‘Out on the Streets,' which you can buy here. Like a lot of young groups in the ’70s, Kiss occasionally found themselves lumped in with some less-than-obvious acts on multi-band bills, and in the ‘Out on the Streets’ chapter ‘Remembering a Few of the Bands That We Worked With,’ the Krew recount their experiences supporting their bosses while they shared the stage with some of the bigger names in ’70s rock, as well as a couple of future legends. - Thanks to UltimateClassicRock for the headsup! Fender has unveiled an new version of their Geddy Lee Jazz Bass that combines the specs and features of Lee’s three favorite basses—two Fender Custom Shop versions of his signature model and the original sleek black ’72 Jazz Bass that Rush’s revered bassist/vocalist has riffed away on in front of millions of devoted fans worldwide and on many a mega-selling album. The neck has a thicker custom profile, topped by a maple fingerboard with elegant white binding and white pearloid block inlays. For enormous tone that crackles with life and bristles with the energy, its two vintage-style single-coil Jazz Bass pickups are specially wound and voiced to sound like those on Lee’s prized 1972 original, and a Geddy Lee signature High-Mass bridge provides rock-solid intonation. The new bass has an MSRP of $899 and will be available March 12, 2015. For more info click here. 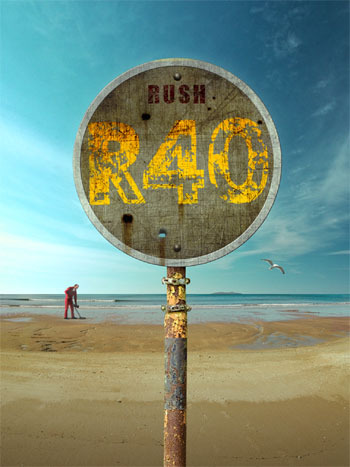 RushPetition - What do you want to hear live on the R40 tour? RushPetition is back up and preparing for the R40 tour. 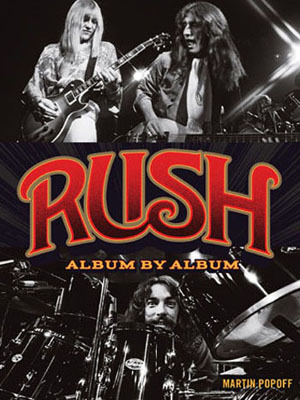 The new petition allows for each person to select FIVE songs from the list of songs from the Peart recording era that Rush has never performed live. Cast your vote here. - Thanks to Skip Daly for the headsup! As part of their "Beat Week", today NPR Music posted a new interview (audio and text) with Neil Peart where he talks about the first rock drummer, Gene Krupa. "He was the first rock drummer, in very many ways," Peart says. "Without Gene Krupa, there wouldn't have been a Keith Moon. He was the first drummer to command the spotlight and the first drummer to be celebrated for his solos, because they were very flamboyant. He did fundamentally easy things, but always made them look spectacular." For the full feature click here. Geddy Lee Interview from the film "Jaco"
Geddy Lee is one of the many musicians interviewed for the documentary film "Jaco", about legendary bassist Jaco Pastorius. A short snippet of Geddy discussing fusion music from the documentary was posted to the film's YouTube channel yesterday and can be seen below. 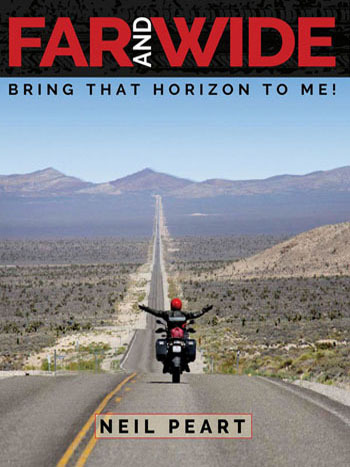 Produced by Metallica bassist Robert Trujillo and directed by Paul Marchand and Stephan Kijak, the film debuted at the Mill Valley Film Festival on October 6th and at the Grammy Museum on December 8th, and should be available for purchase on Record Story Day this coming April. For more info visit Facebook.com/JacoDocumentary. - Thanks to RushIsABand for the headsup! UPDATE: Friday Prog posted one of the features from the magazine to their website - "From Taylor Hawkins to Steven Wilson, 40 famous Rush fans pick their favourite Rush songs." You can check it out here. The UK's Prog magazine issue #52 will hit newsstands on January 5th, and features Rush on the cover as well as various feature stories. You can check out a teaser here. - Thanks to RushFanForever for the headsup!